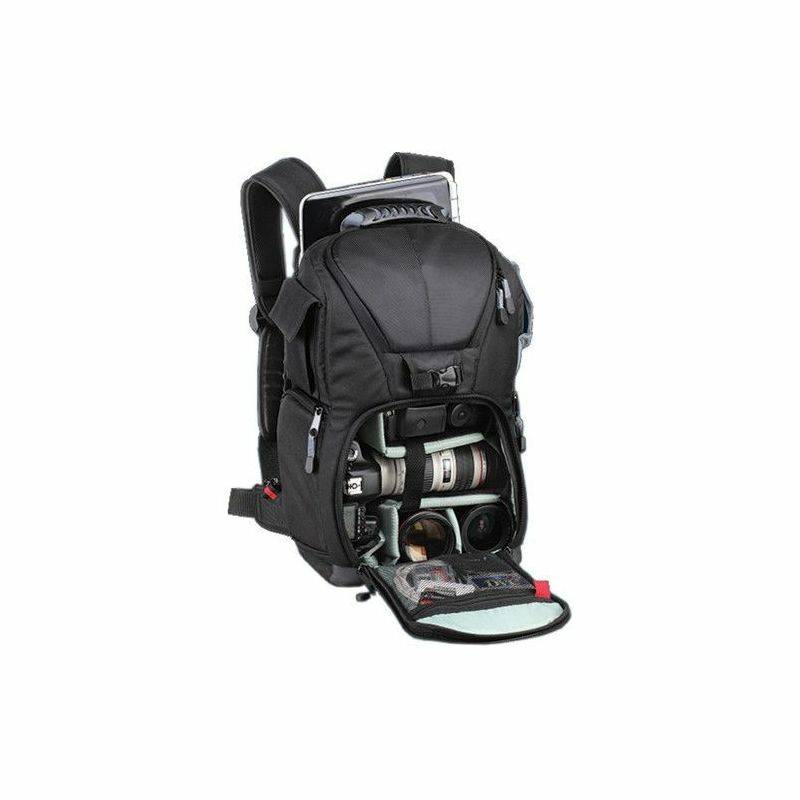 The SL62 Grand black Photo/SLR/Laptop Sling Backpack from Digital Nc is a triple threat when it comes to buying this type of pack. It can be worn in three different ways and therefore serves as a durable pack for both transport and shooting. It's made from tough Oxford Fabric. When worn as a traditional backpack, it carries more than its weight in equipment including a 17" (43.2cm) laptop. When worn as a shoulder bag, you have rapid access to your gear through the zippered lower half of the bag. 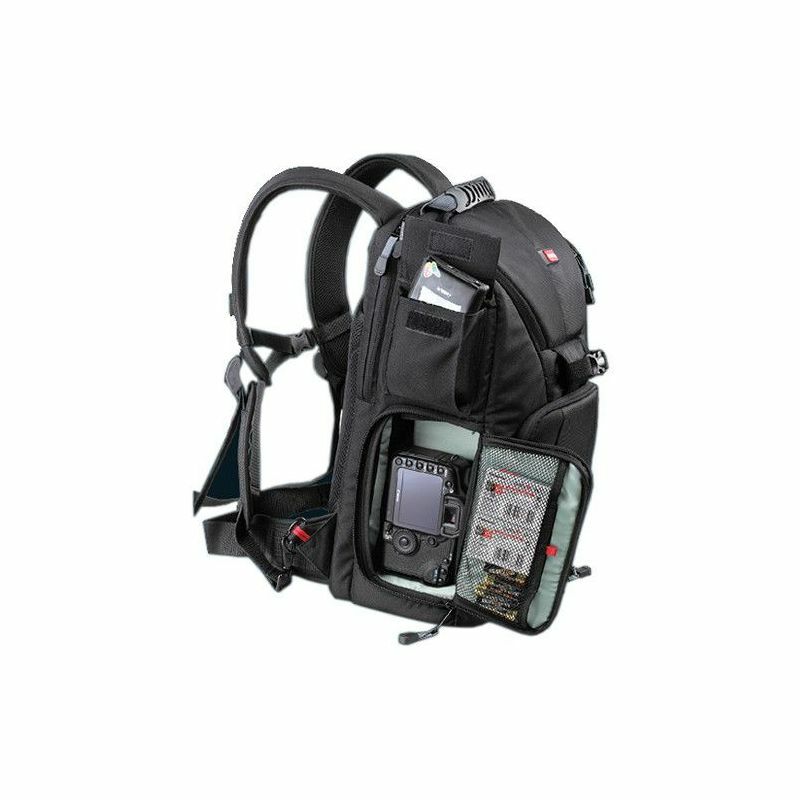 When used as either a left or right sided sling-style bag, the quick access zippered side pockets (on either side) give you even faster access to your equipment. An additional mesh storage pocket is supplied for small accessories. The bag is essentially divided in half with the top being used for personals and smaller items in their own foam-padded compartment. The lower half is the main compartment where your gear is safely stored within additional foam-padded, adjustable dividers. There's an additional zippered mesh accessory compartment for batteries, media cards, cleaning cloths, pens or even business cards. 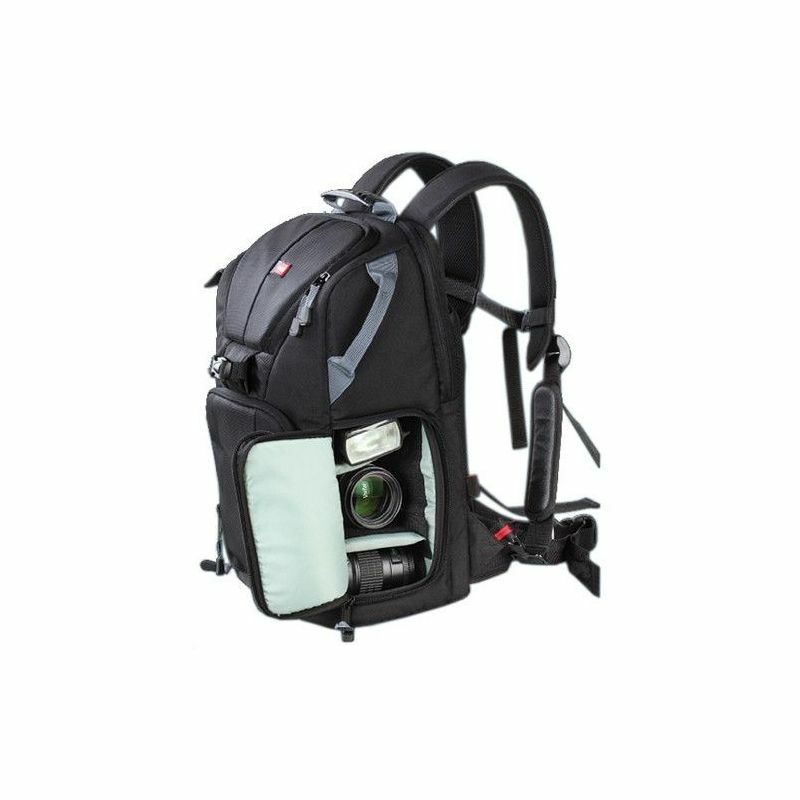 Carrying a tripod is no problem since the bag comes with connecting straps on the back that will hold your pod securely. This is a relatively lightweight pack that is functional, durable and flexible for the shooter who likes to be outside and constantly on the move. 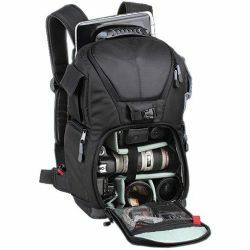 It's carried by two wide, padded and adjustable shoulder straps that are supported by an adjustable chest strap that helps keep the pack steady and centered on your back. The waist belt is also adjustable and helps prevent the pack from swaying while hiking or climbing. There's a comfortable back pad and easily removable and deployable rain cover for when the weather turns sour. Finally, if you're just trying to get the pack out of your car trunk, Digital Nc has added a strong top carry handle.